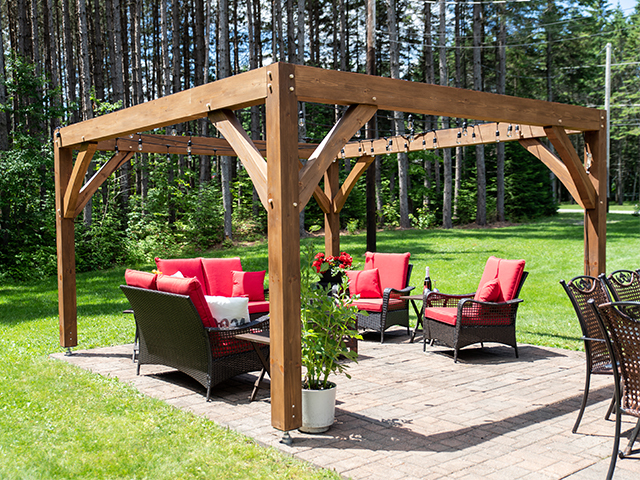 When you choose to rearrange your yard, you choose to enlarge your home’s living space. 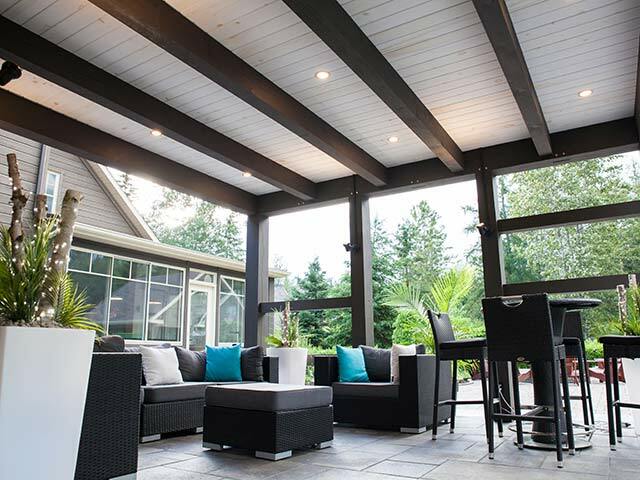 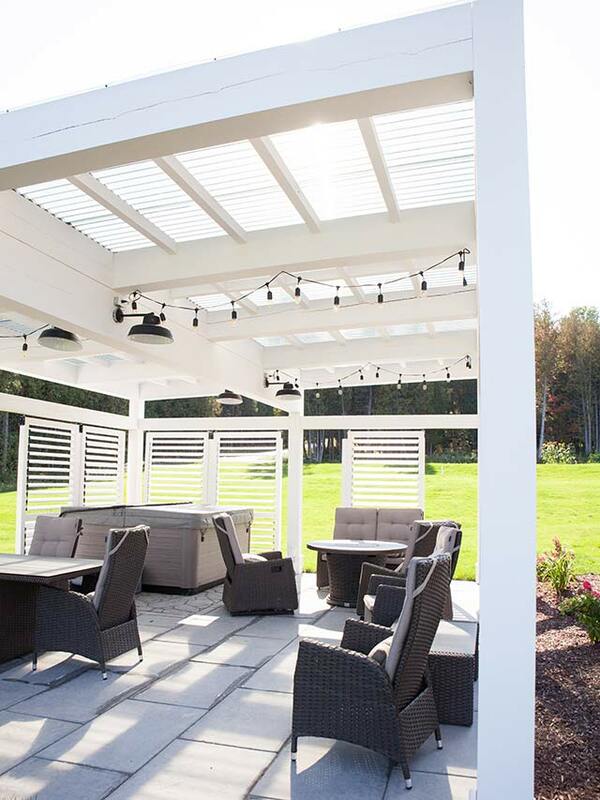 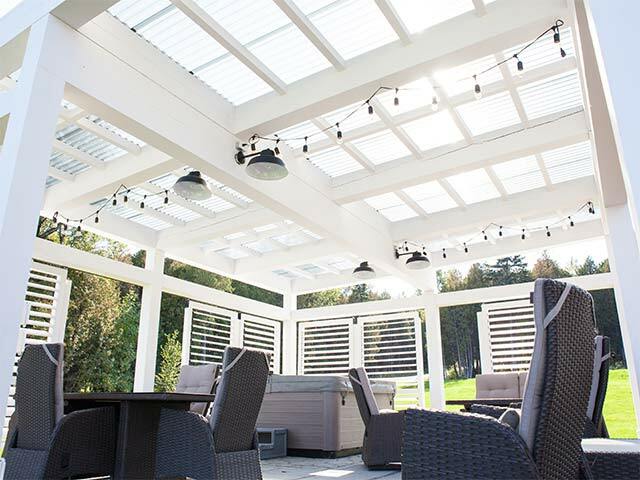 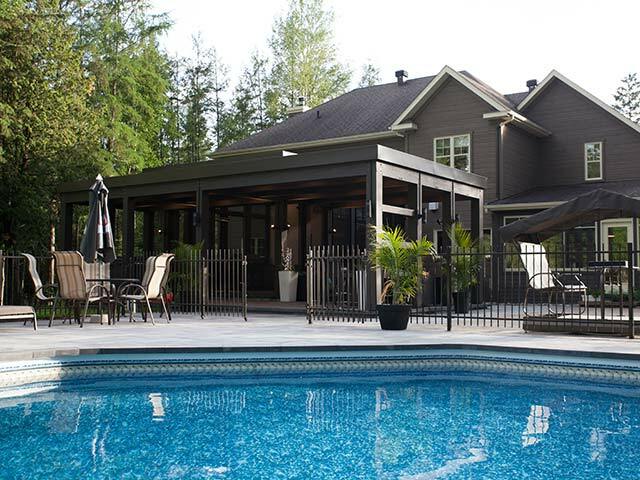 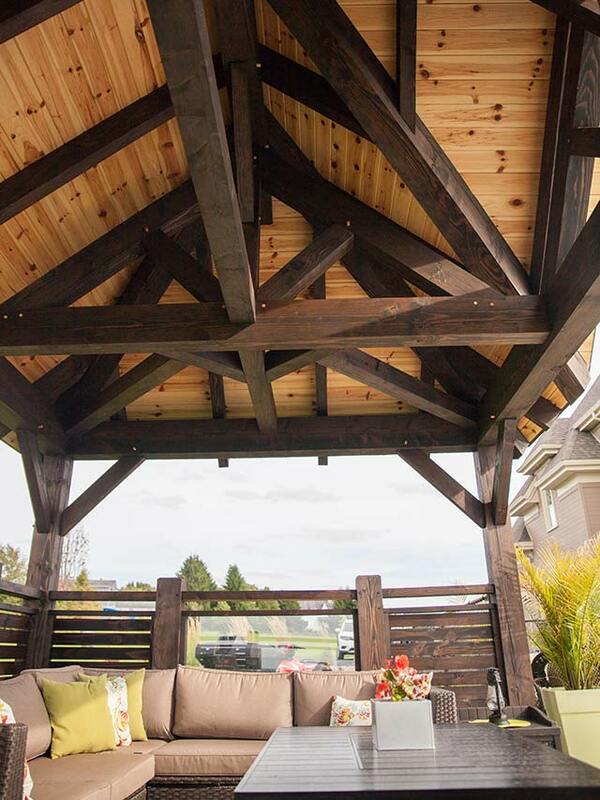 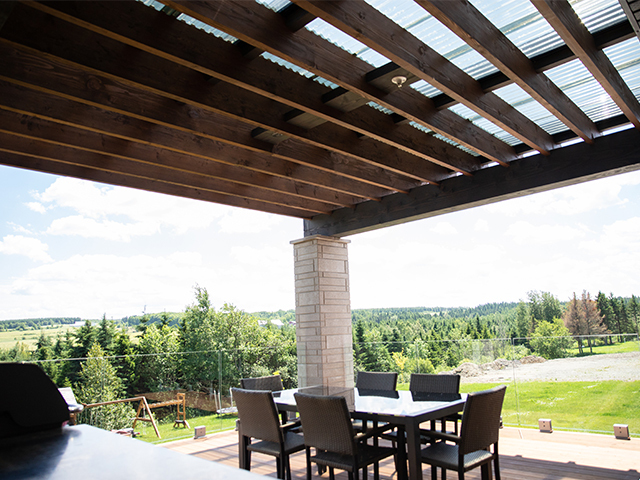 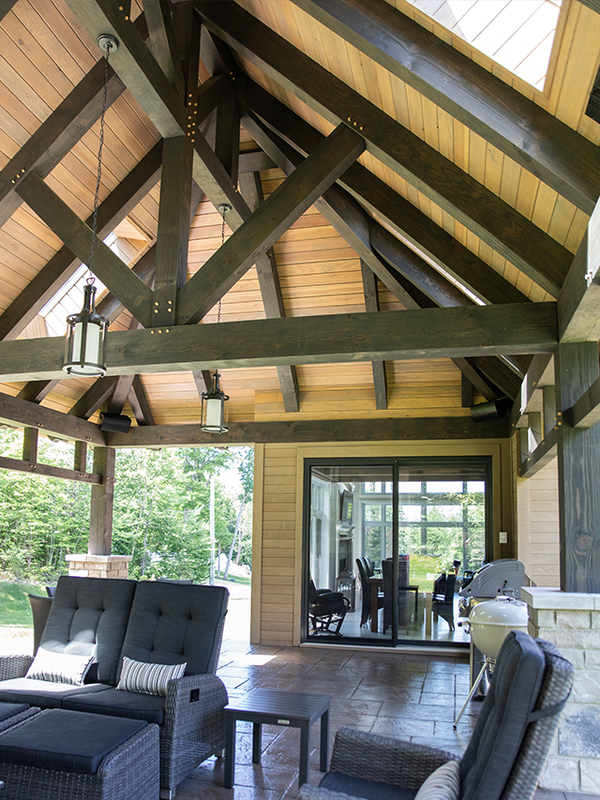 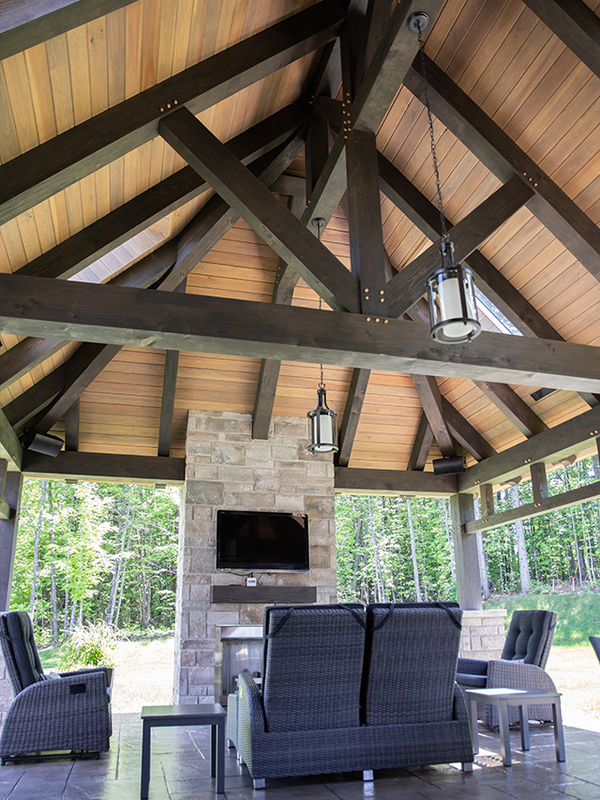 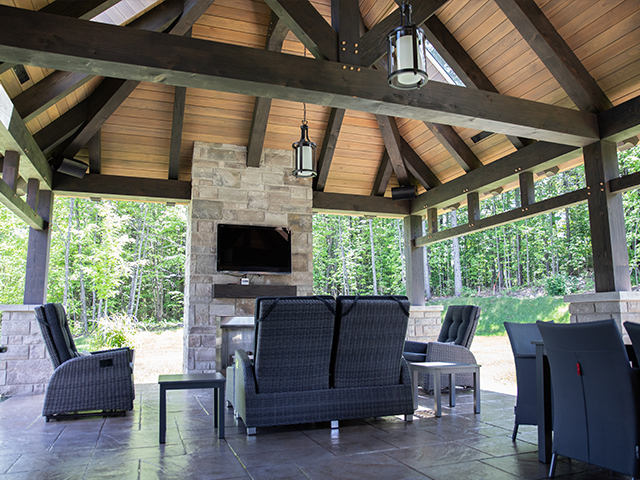 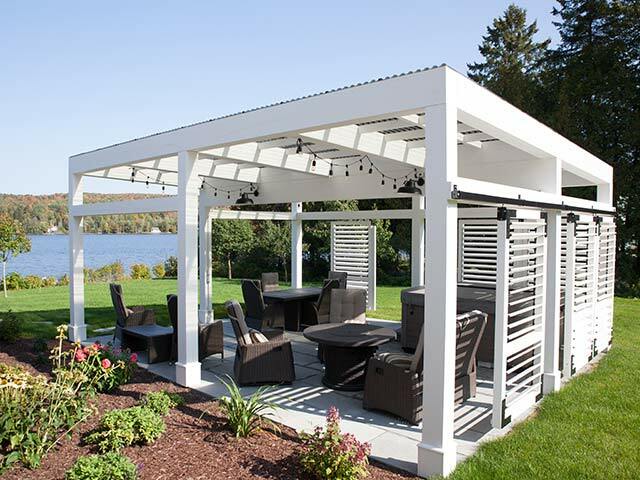 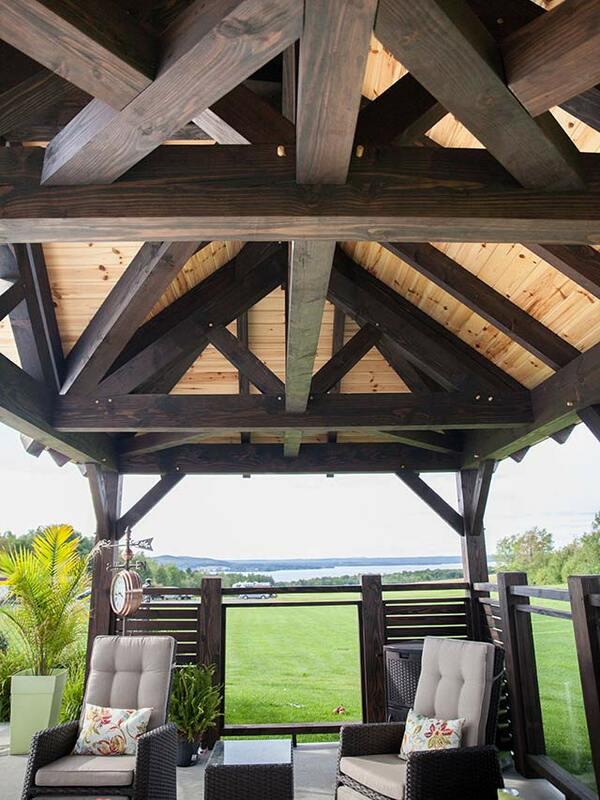 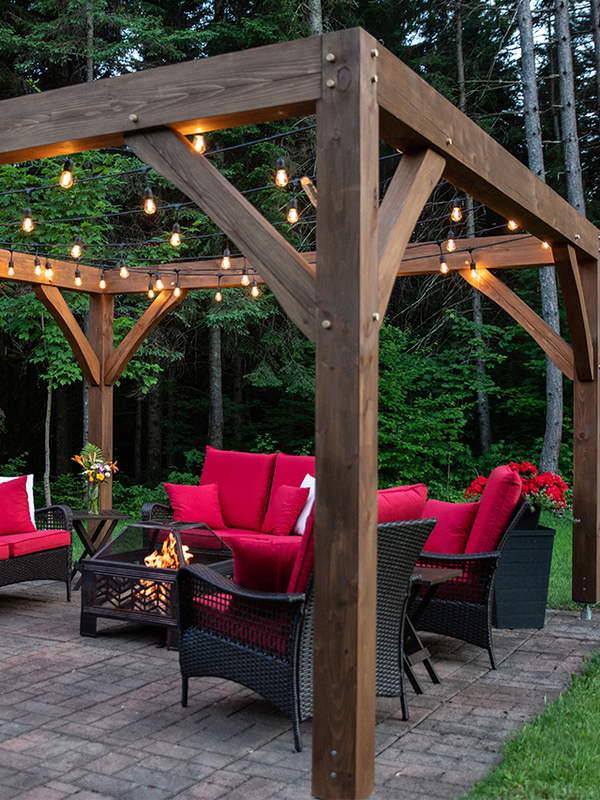 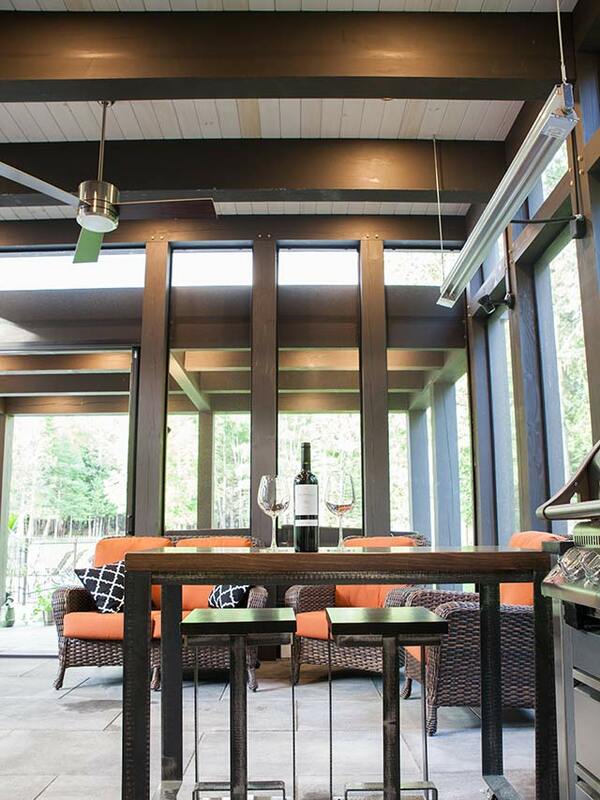 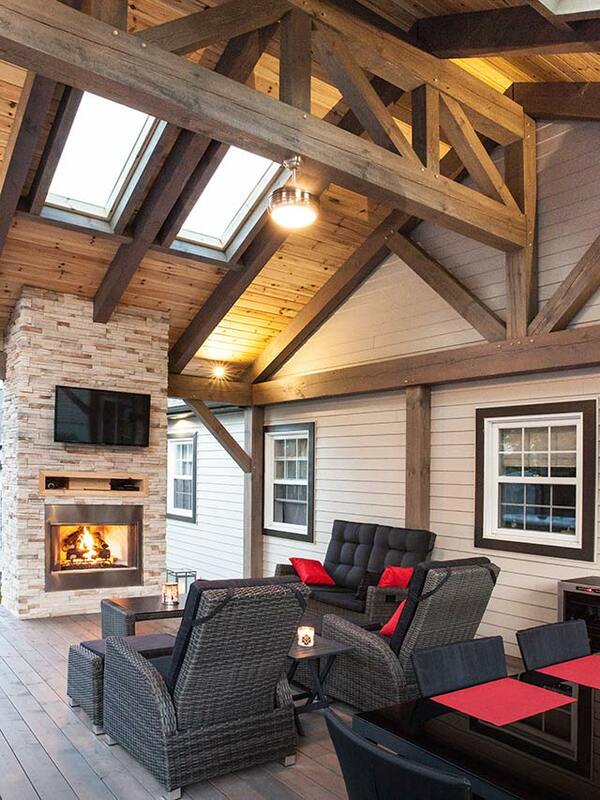 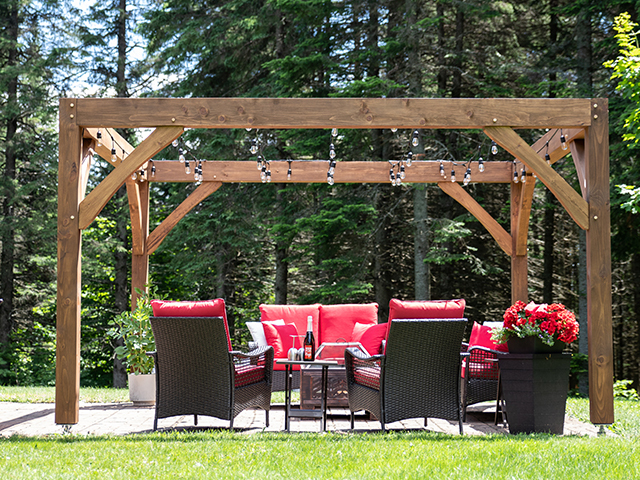 Whether you add a separated structure such as a gazebo or a pergola, or an extension to your home such as a covered patio, this space will become your relaxation zone and in addition, the go-to place for your evenings at home. 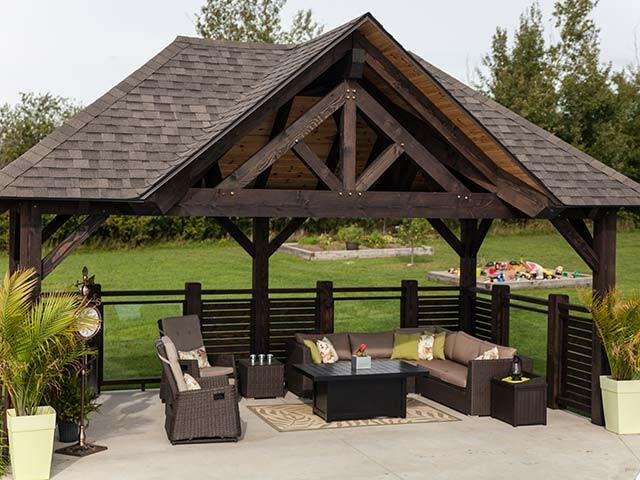 Add a distinctive touch with wood! 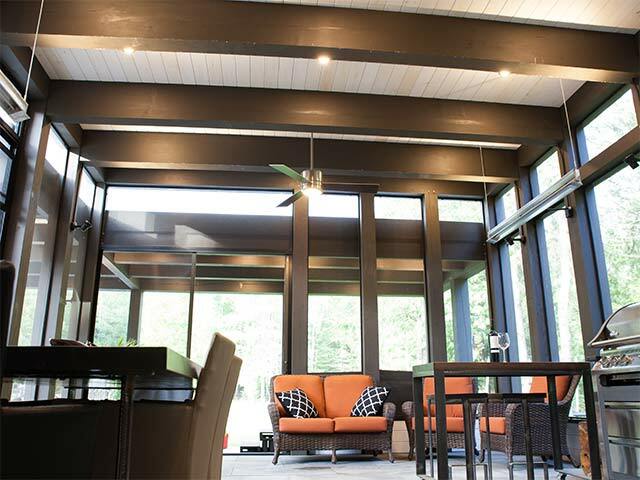 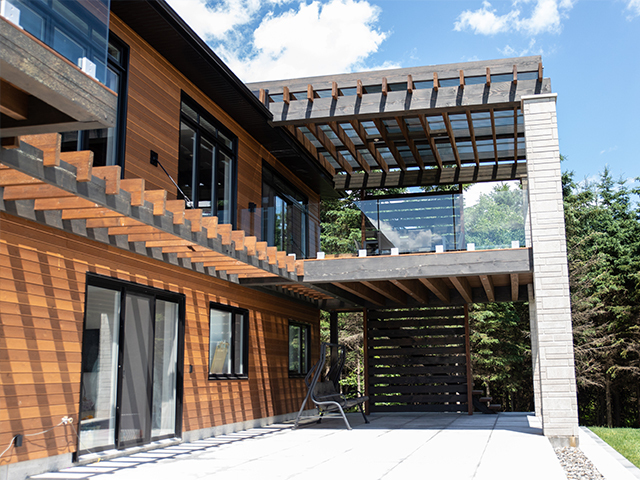 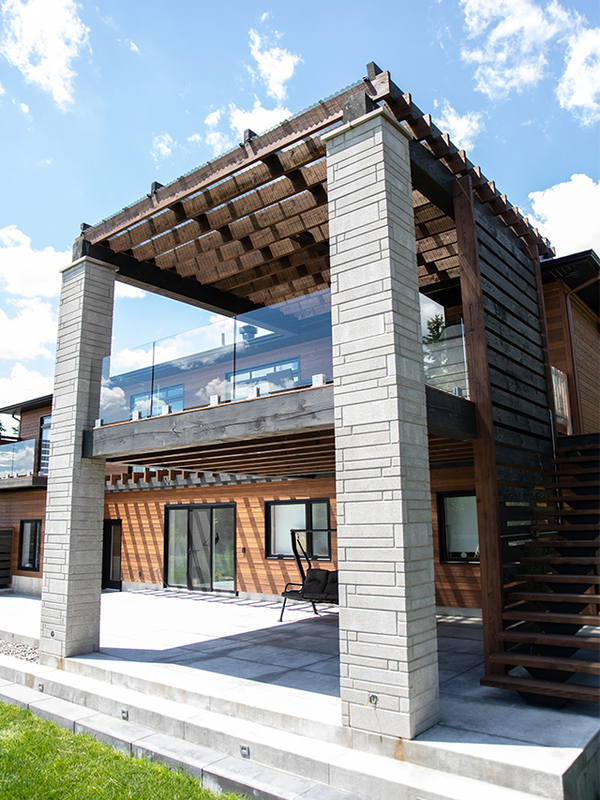 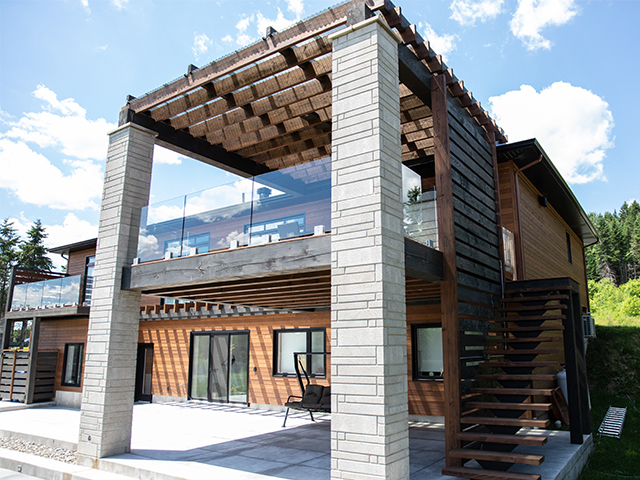 Whether you add decorative beams, wainscoting, or solid wood frames and structures, you’re sure to get a distinctive, modern and authentic concept like you’ve never seen! 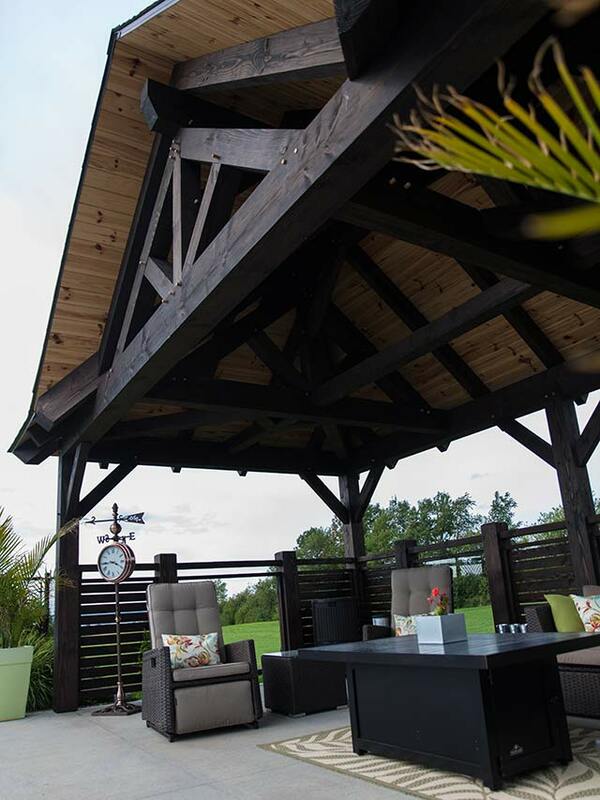 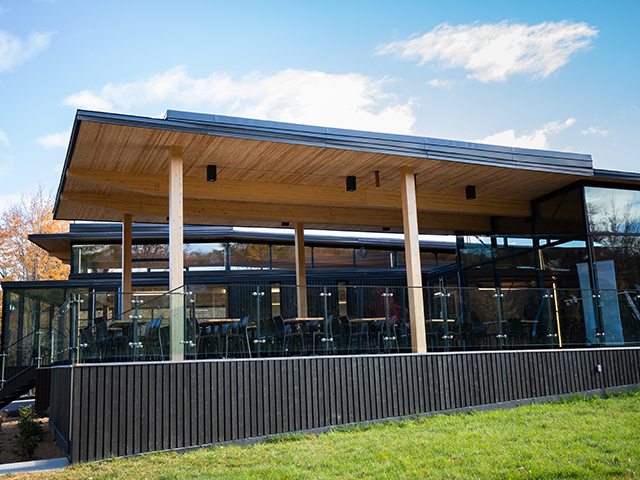 At Bois Hamel, we realize that your needs are as unique as you are. 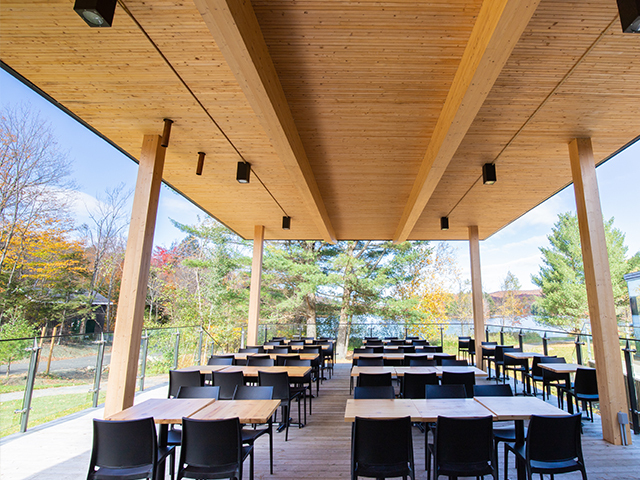 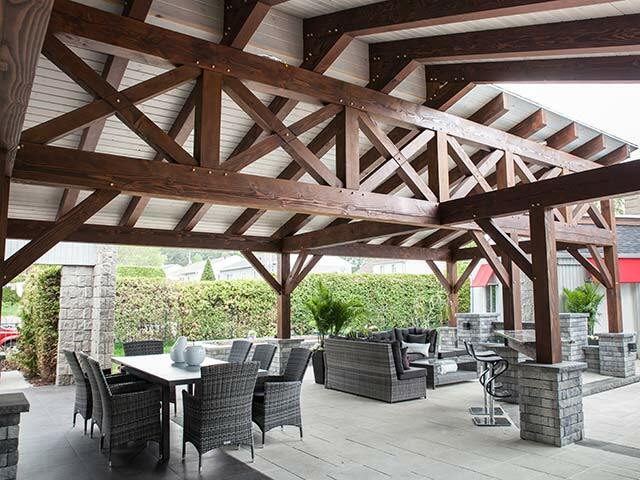 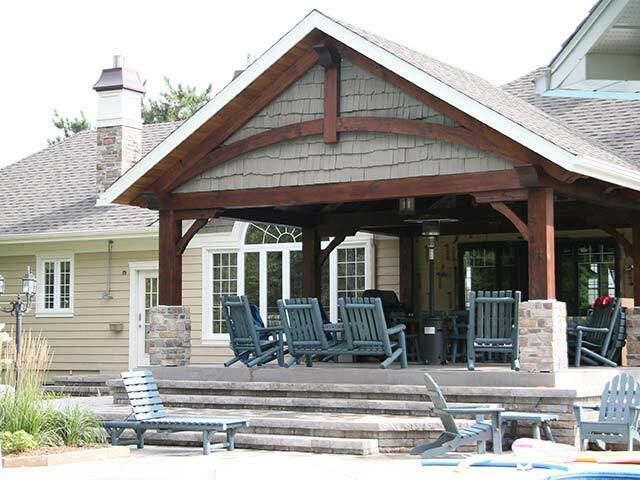 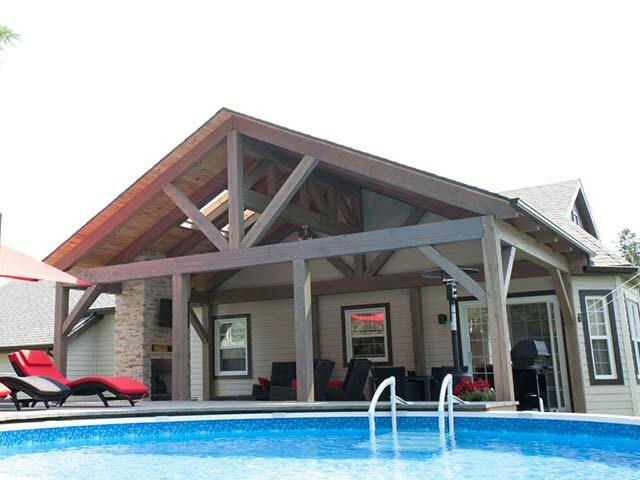 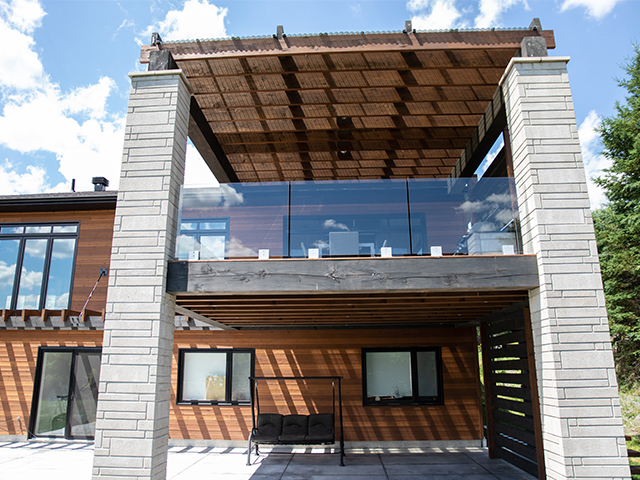 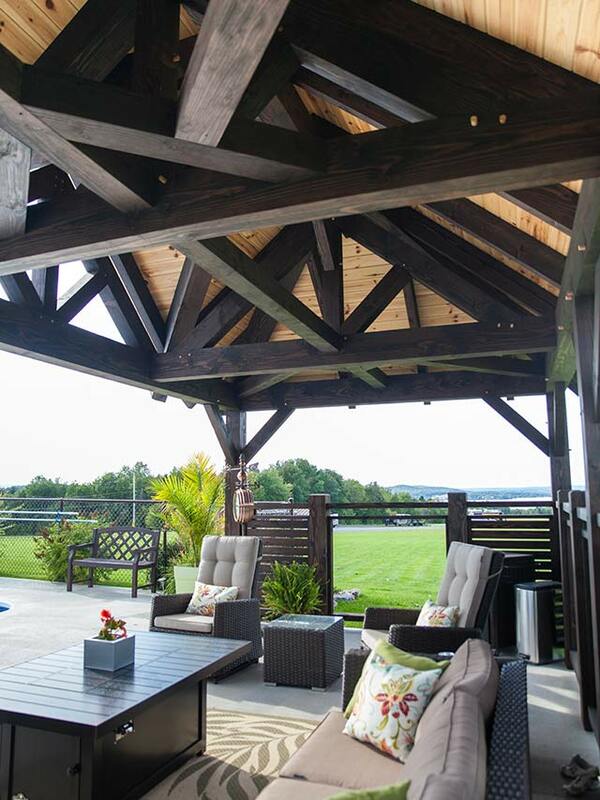 We offer a number of different models of wood gazebos and pergolas, from the most standard to the most distinctive. 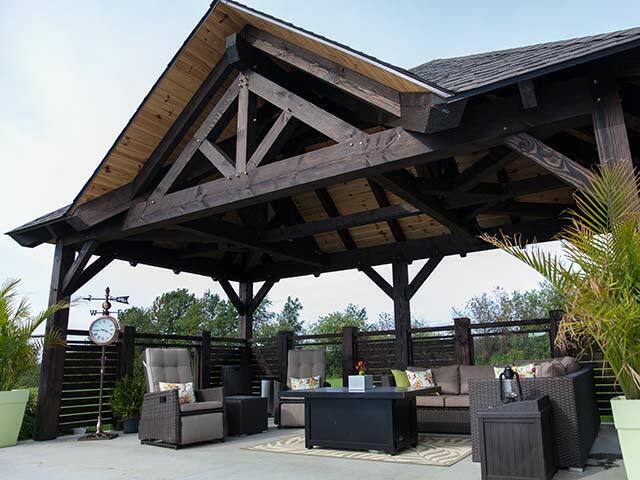 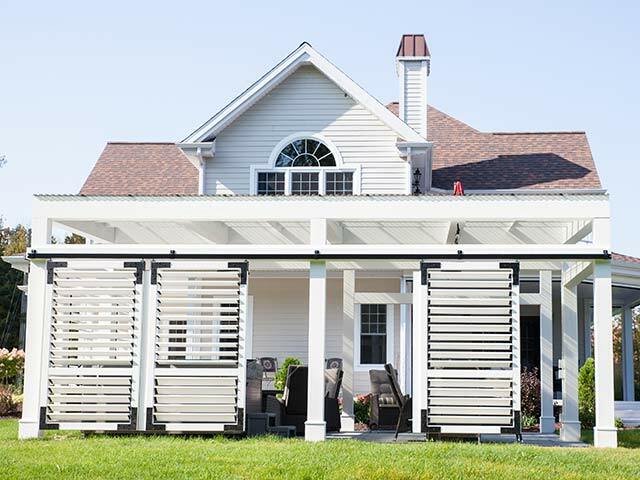 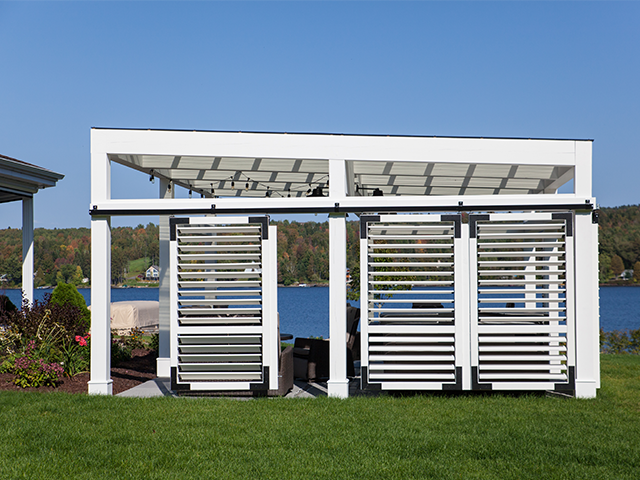 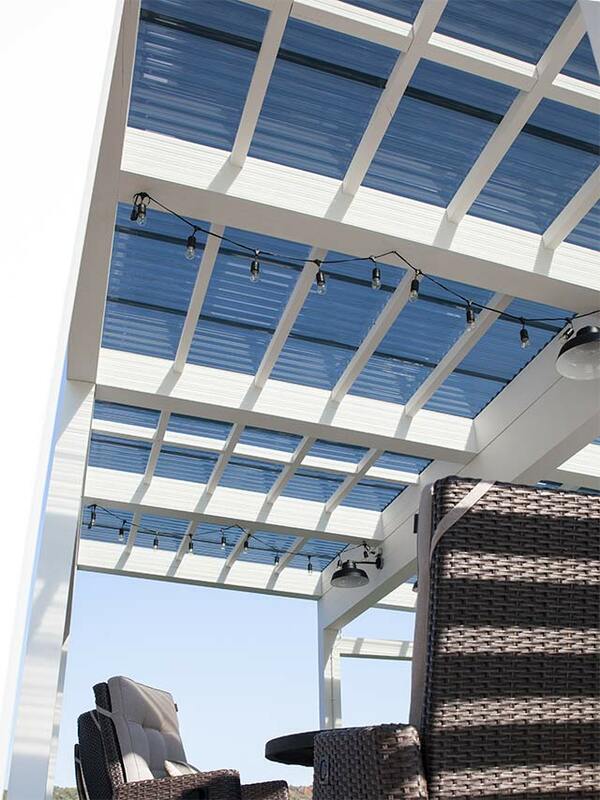 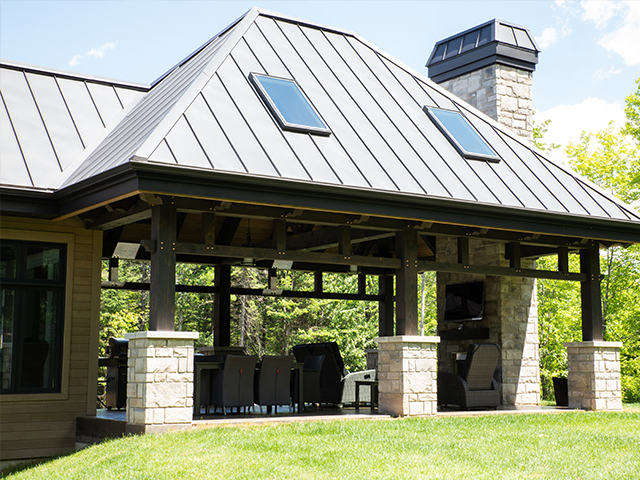 For your patios and backyards, we know that one model can’t fit for everyone. 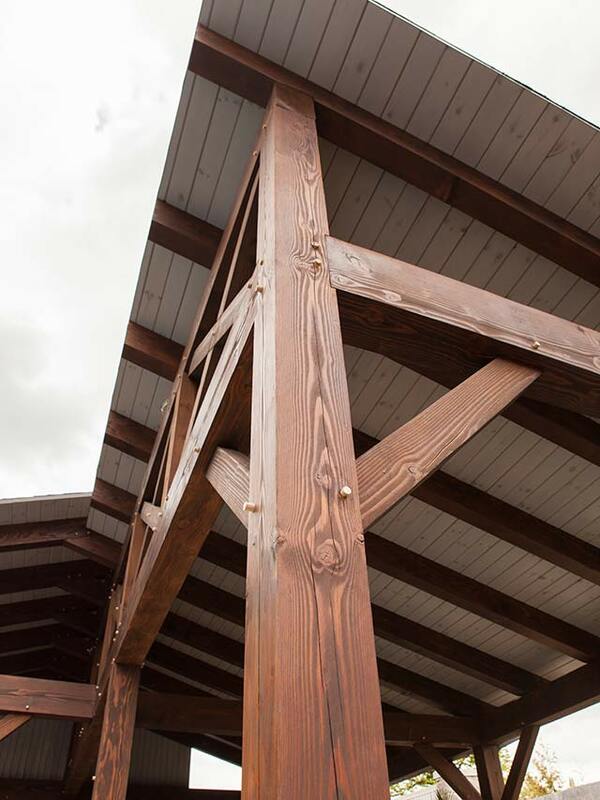 That’s why we’re ready to help you design and build your wildest projects! 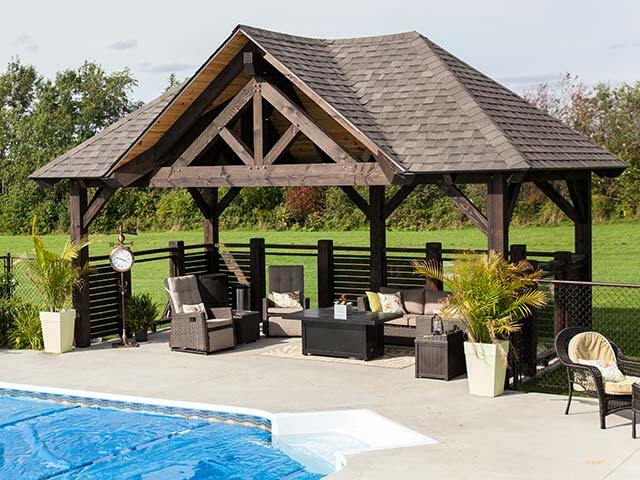 Don’t wait, offer yourself the distinctive arrangement of your dreams with Bois Hamel!